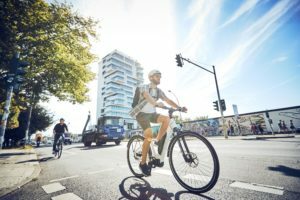 AMSTERDAM, the Netherlands – Declining consumer expenditure seriously is affecting bicycle sales in the Netherlands this year. 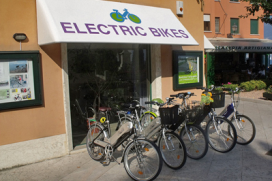 All categories show declines, except for electric bikes. 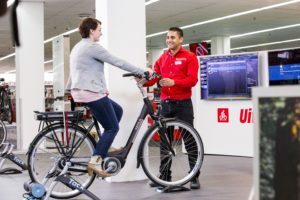 According to the latest data of market researcher GfK Retail and Technology Benelux e-bike sales increased 6 percent last August. 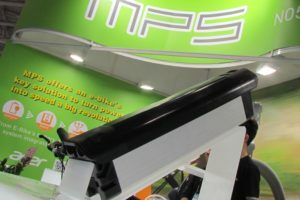 As a result the e-bike revenue share at IBD’s stands currently at over 50 percent. 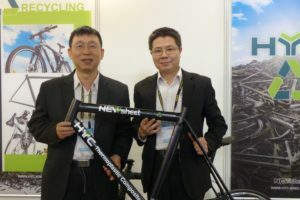 Despite the popularity of e-bikes total bicycle sales at all distribution channels dropped by 12 percent last August. 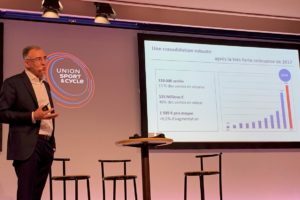 The turn-over slipped by only 5 percent, thanks to high priced e-bikes. The same goes for IBD sales. Volume wise it decreased by 11 percent while in euro sales shrank only 4 percent. The biggest sales decline at IBDs was in the category hybrid/touring; 18 percent down. Turnover in city bikes fell by 12 percent and revenue of children’s bicycles by 6 percent. Though only small in volume, the category mountainbikes dropped by 30 percent in value and road race/sports hybrid by 4 percent. In their August market report, GfK also notes that the upturn in sales recorded last July could not be continued in the next month. It looks like that many consumers already bought a new bicycle in July and did not postpone their purchase to August, like many people did in 2012. Presumably that’s the result of very nice weather in July. Nevertheless consumer confidence was still very low in August and people were not very willing to buy. Bicycle sales in supermarkets and DIY stores was even more in decline. Sales in volume went down by 17 percent and 20 percent in turnover. In the past years, the supermarkets and DIY stores ran a “Back to school” promotion campaign in August. Supported by a massive marketing campaign with door-to-door leaflets it generally generated a lot of traffic in the stores. Not this year as marketing budgets were cut. The DIY stores sold 5 percent less city bikes, the supermarkets even 20 percent.